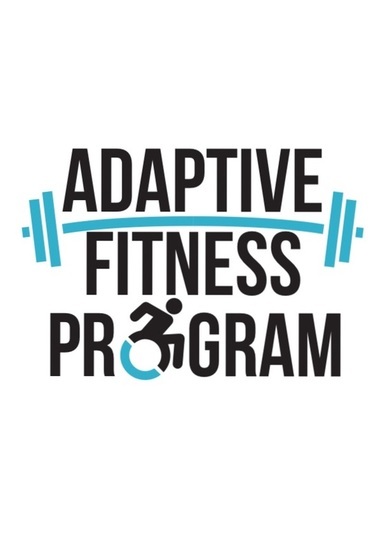 Adaptive classes are inclusive classes designed for our non-typical population, all are welcome to attend. Our fitness program provides sessions in a safe, friendly environment with experienced, certified trainers. The training we provide focuses on biomechanically sound movements that may be modified as needed to best suit the needs of the individual. Our goal is to focus of the physical, mental, emotional and social aspects of the individual as a whole and to help them reach their own individual maximum potential. Shannon’s Fitness & Dance designed an adaptive fitness program aimed at providing fitness training to non-typical individuals. No other program in New York State caters to the unique resistance training needs of non-typical individuals. The training is specific to the needs and capabilities of each individual client. Most of the training involves functional movements and resistance training through the use of body weight and resistance bands. 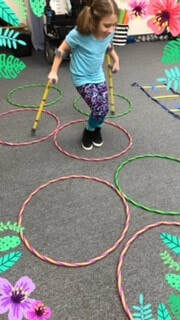 Some programs involve aerobic activities. To have each individual learn the importance of exercise, to allow them to grow physically, mentally, emotionally and socially as well as promote a healthy lifestyle. Our program aims to increase self-efficacy, self-care and self-confidence, while focusing on physical and social well-being. Shannon L. Hockwater, MS is the Owner of Shannon’s Fitness & Dance. Shannon is a certified Group Ex/ Spin Instructor, Personal Trainer and Dance Teacher. She is certified through Mad Dogg Athletics (2008) and ISCA (2009). Shannon is a Master Trainer with the International Sports Conditioning Association (ISCA) and certifies other instructors and trainers internationally. She is a Professor in the Biology Department at Medaille College, an Instructor in the Health, Nutrition & Dietetics Department at Buffalo State. Shannon is also an Instructor in the Master of Public Health Program at Daemen College. Shannon attended Mercyhurst College and has a bachelor’s Degree in Biology and a Master’s Degree in Immunology from Roswell Park Cancer Institute. She has been teaching group ex/ spinning since 2001 and dance since 1999. Bret is an Erie County Sheriff’s Deputy, a Fire Fighter in the town of Snyder, NY and a NYS certified EMT. Bret holds an Associate’s degree from ECC in Criminal Justice and a Bachelor’s degree in Business Management from Buffalo State. Bret is certified in CPR/ AED, first aid and personal training. Bret has an extensive background in hockey and lacrosse as well as performance and adaptive training. Dustin holds a BS in Exercise Science from D'Youville College and is currently at the New York Institute of Massage studying to become a licensed massage therapist. He is an ISCA certified Personal Trainer and is CPR/AED certified through the American Heart Association. Dustin has a passion for working with people and sports. Dustin spends free time outdoors either working on the family farm or exercising and playing baseball. Shannon has been my daughter’s personal workout instructor for more than a year. She has greatly improved Sarah’s stamina and fitness, in addition to helping her with anxiety management. She makes training fun by changing up the routines frequently. I never have to nag Sarah to attend her class (held 3 times per week) as she enjoys her time with Shannon. I can tell that Shannon really cares!